I’m 33 weeks pregnant today. 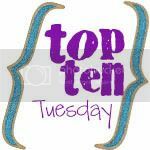 This week for Top Ten Tuesday I thought I would share some of the little known (if you’ve never experienced homebirth) benefits of having a planned home birth. You’re the boss. Nobody tells you what to do when you have a home birth. If you want to putz around doing household chores until things get really serious, you can. If you want to labor in bed, you can. If you want to bounce on a big ball, you can. If you want to listen to Simon & Garfunkel or Patsy Cline (or like a friend of mine, Buddy Holly), you can. You’re in control. Noone is going to tie you down on your back in a small bed for “monitoring”. You can move, wiggle, crawl, squat, sleep, walk, make out with your husband or do whatever you want that’s helping move the baby out. You can invite who you want. Your kids can be present if you want them there. This is an awesome experience for them. Instead of being scary, they will learn what birth is really like (not how it is in the movies!). They will begin to bond with the newborn immediately instead of it being a stranger who comes home with mom. Your parents or parents in law can be there to help with your children or to run errands, get food, clean up and to be part of the experience of welcoming their grandchild into the world. No slippery slope of interventions. Interventions muck with nature and most of them have never been proven to improve outcomes (meaning, more live babies and moms). Induction leads to more painful contractions which leads to labor meds which leads to sleepy babies which leads to C-section which leads to breastfeeding difficulties. Eat, drink, have baby. Did I mention you can eat and drink freely instead of being restricted by hospital regulations (which again haven’t been proven to be helpful and may lead to low blood sugar and ineffective/prolonged labor?). How are you going to get through the most intense physical work of your life without sustenance? Noone would expect you to climb a mountain without food and water yet that’s about how much energy you expend in a typical birth. You can labor or birth in water. If it floats your boat, you can labor in a big kiddie pool and enjoy the pain relief it gives you. You can also give birth in water if you like, something that your hospital may not be willing to go along with. No scary drive home from the hospital. That white knuckled drive home from the hospital with an hours old newborn was one of the most stressful situations of my life. It’s so nice to give birth to your baby and snuggle in to get to know each other in your own bed! Nobody takes your baby away from you. There are no concerns about your baby getting kidnapped or switched with someone else’s child when your baby is born at home. Most new mothers feel an intense need to be physically near their newborn and experience distress when the child is away from them. 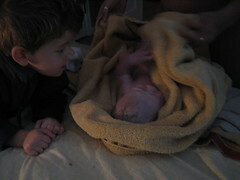 With a homebirth, the newborn exam takes place right there with the midwife. Your baby never has to leave your sight. Less pain. Fear increases labor pain. The comfort and familiarity of home decrease it. Most people associate hospitals with pain and death, therefore when they step foot into one, their body goes into an altered state that isn’t conducive to birthing (high adrenaline, stress hormones). At home around the things you know, you are free to be yourself. There are no frightening sounds and sights, no harsh lights, and everyone is there by invitation only. Confidence. Giving birth naturally – and with homebirth this is especially so – is a very empowering experience for a woman, and it makes the stuff that comes after it (breastfeeding, caring for a baby, toddler, child etc) easier because you’ve learned to trust yourself. How does the media disempower birthing women? Amen to all of that. While midwives are “welcome” in the hospital here, it’s made fairly clear that the hospital would rather you be under the care of the OB instead. I had both of mine at home, due largely in part to the horrific c-section rate at the local hospital. Homebirth isn’t for the uneducated. Or the unsure. Blogs like this are a good, encouraging start. If women took the time to educate themselves about the process of labour and delivery, and about what their bodies are designed to do, they would feel a lot more comfortable questioning medical “norms” and moving away from childbirth being treated like a medical condition. Oh, I admire your decision! I was stuck with a c-section…transverse baby he wasn’t turning come hell or high water…but what you’re describing sounds beautiful! That sounds so wonderful! I was too high-risk in each of my pregnancies to even consider a home birth–I cannot imagine I’d have found anyone to do it, nor would I have ever convinced my husband. It remains one of those things that will never happen for me, but I love hearing others’ home birth stories. I really think it’s how healthy women should deliver. I have tons of negative hospital experiences with each of my three births. I wish they’d have been as peaceful as you describe! Carrie, I’m so excited for your upcoming birth and have enjoyed being on the pregnancy journey along with you this time. My youngest is now 2 months, but I’d just set up my birth tub when you wrote the post about getting everything ready for birth (so true and so beautifully written). Isabelle arrived just two hours after my water broke and nearly half of the time I was in labor it was just me and my husband–we remarked that we felt like we were on our own private little retreat get-away. I have to think that the peaceful environment had a great deal to do with the ease of my daughter’s birth, and I am so thankful to have been able to welcome both of my babies into the world in this way.